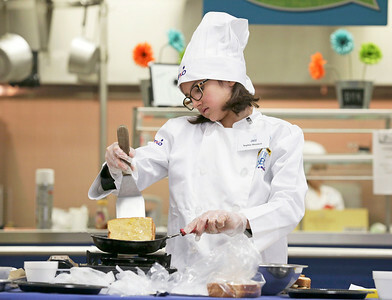 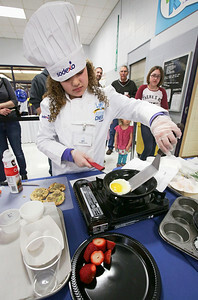 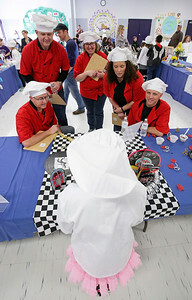 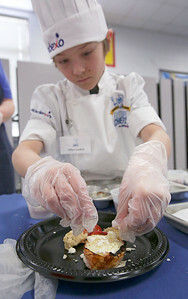 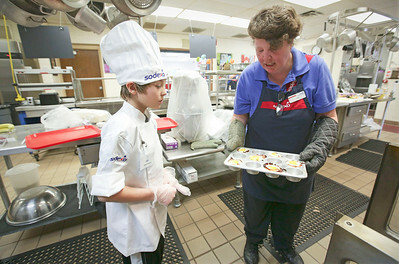 Lisa Schmidt, a lunchroom assistant at Woods Creek Elementary helps Ethan Laudick, a fourth grader at Woods Creek Elementary School, with his Egg in a Cup recipe during the Sodexo Future Chefs culinary competition for D47 fourth and fifth graders at Lundahl Middle School on Saturday, March 19, 2016 in Crystal Lake, Illinois. 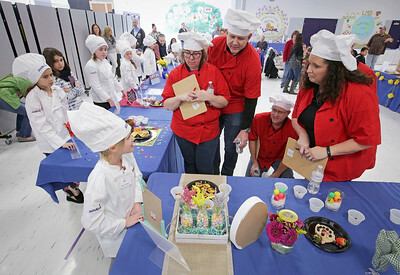 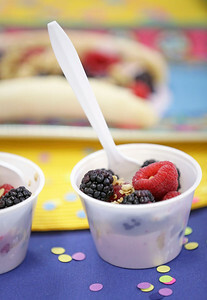 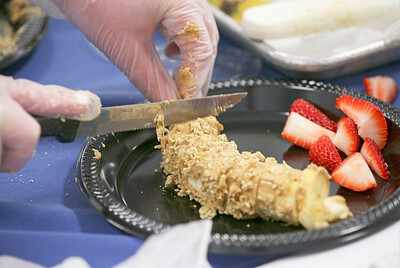 From the 200 recipes submitted eighteen finalists advanced to the culinary competition, where they prepare their healthy breakfast creations for a panel of D47 judges. 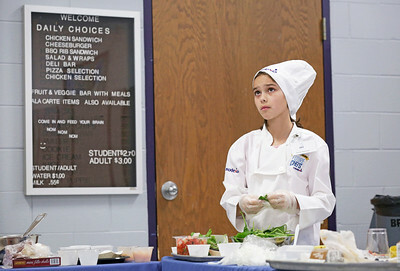 Student recipes are evaluated based on originality, ease of preparation, presentation, kid-friendly appeal, and healthfulness. 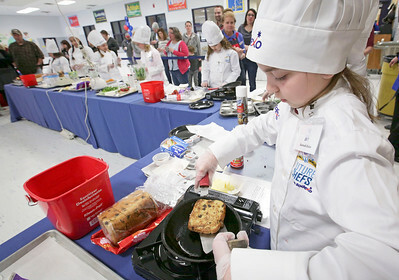 Brynn LeFevre, 4th grader at Indian Prairie, won the event and will advance to the regional competition.